Dental implants are a clinically proven solution to replacing some or all missing teeth in the top jaw, known as the maxilla. Implants offer a permanent option whereby artificial teeth are surgically fixed into your jaw. 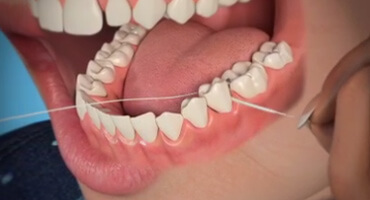 Not only will this give you an attractive row of top teeth, visible when you talk and smile, but you will have fully functioning teeth that allow you to bite and chew freely. Your suitability for this treatment will be determined by a thorough check-up with a dentist, including 3D x-rays and photographs. Some patients who require implants in the top jaw may need to undergo an additional procedure called a sinus lift. A sinus lift will ensure that there is sufficient jawbone density to create a solid base into which dental implants can be inserted. The implant itself looks like a small screw and is made from titanium, a metal known for its strength. The artificial tooth prosthesis placed on top of the implant can be a single crown, a bridge or a full arch denture. These are made from top quality dental ceramics and mimic the colour, size and shape of natural teeth, creating a natural looking smile.